Is your smile as dazzling as it could be? Veneers, offered by your Stoughton, MA, dentist Dr. Maryam Douraghy, completely transform your problem teeth. Veneers don't change the structure of your teeth. Instead, they hide imperfections behind a thin layer of porcelain. Tooth-shaped veneers are custom-made for your mouth and look completely natural. They're firmly bonded to your teeth and don't move when you chew and bite. Even a tiny chip in a tooth or a single discolored tooth can keep you from smiling. Veneers conceal these and other imperfections, such as cracks and uneven surfaces. Your Stoughton dentist will carefully match the shade of your new veneer to surrounding teeth to ensure that it blends in with your smile seamlessly. Veneers are also ideal if you've noticed that some of your teeth look a little shorter these days. Nightly grinding or clenching are often to blame when your teeth become shorter. Veneers restore the normal length of your teeth. A custom-made nightguard will also be needed to prevent damage to your new veneers. Would your smile look a lot better if you didn't have a problem tooth? Whether the tooth is crooked, twisted, pointed, or just strangely shaped, a veneer can change its appearance. After you receive your new veneer, you'll be amazed by the improvement in your smile. Veneers are also used to hide slight gaps between teeth and improve the color of all of your teeth. Although teeth whitening treatment can be helpful, sometimes it just doesn't produce the results you want. Veneers can be made in practically any shade of white, ensuring that your smile is as bright as you want. The restorations are also very resistant to staining. In fact, you can drink coffee, tea or red wine without worrying about staining your veneers. Transform your smile with versatile veneers! Would you like to find out if veneers are a good option for your smile issues? Call your Stoughton, MA, dentists, Drs. Maryam Douraghy and Ramin Mehregan, at (781) 341-8966 to schedule your appointment. Do you get headaches frequently? Although tension is a common cause of occasional headaches, the source of your pain may actually originate in your teeth or jaws if you suffer from frequent headache pain. Your Stoughton, MA, dentists, Drs. Maryam Douraghy and Ramin Mehregan, offer treatments that can reduce or eliminate your painful symptoms. How can an issue with teeth or jaws cause headaches? Even the slightest change in your bite, the way your teeth fit together, can stress your jaw muscles and cause headache pain. 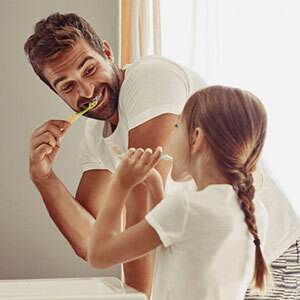 Bite problems can be caused by longstanding orthodontic issues, neck and shoulder issues, loss of a tooth or even a filling that's a little too high. Grinding or clenching your teeth while you sleep may also be the source of your headaches or migraines in some cases. The habits exert significant pressure on the muscles in your temporomandibular joints (TMJ) in your jaw. If the muscles begin to spasm, you may feel the pain in your temples. TMJ pain has been linked to migraines in several research studies, including one recent study conducted at the University of Sao Paulo. Researchers discovered that people who had migraines 15 or more times per month were three times more likely to have a temporomandibular disorder (TMD) than those who didn't. TMD disorders affect the jaw joints, muscles, tendons, and ligaments. What can my Stoughton dentist do to relieve my pain? Improving your headache pain can be as simple as adjusting a high filling, replacing a lost tooth with a bridge or dental implant, or correcting a bite problem with orthodontic treatment, and/or a Physiologic Orthopedic Mouth Appliance (POMA). Physiologic Orthopedic Mouth Appliance (POMA): To orthopedically realign the lower jaw to the cranium back to a position that provides relief from pain and dysfunction after a significant physical trauma. It stabilizes the temporomandibular joints and restores them back to normal physiological function while at the same time reduces contracted (spastic) head and neck muscle activity, normalizing function and resting modes to pre trauma conditions. It is a specifically designed and custom fabricated “orthopedic” appliance. 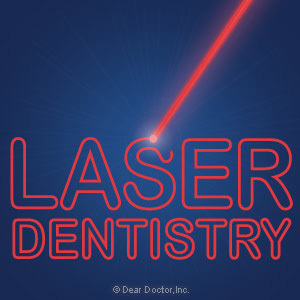 Where Dr. Mehregan uses strict bite recording protocols using both the J5 Myomonitor TENS to establish the occlusal position and K7 kineseograph. This appliance is unlike other classical appliances such as Night Guards which only help to preven further tooth damage. Are you tired of living with headaches? A visit to the dentist may help relieve your pain. Call your Stoughton, MA, dentists, Drs. Maryam Douraghy and Ramin Mehregan at (781) 341-8966 to schedule an appointment.